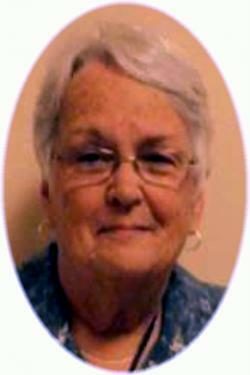 Susan Mildred MacBride - age 69, of Blomidon, passed away on February 8, 2019 in the Valley Regional Hospital, Kentville. Born in Kentville, she was a daughter of the late Elwood and Louise (Bishop) Nixon. Susan was a kind and caring person and an accomplished homemaker and farm wife. She was an active member of her community and a volunteer with 4-H. Susan was an avid local hockey fan and attended many games over the years. She is survived by her husband, Robert; two daughters, Tammy (Arron) Ward, Kentville; Aimee Sheffield (Lennie Flanagan), Blomidon; grandchildren, Spencer Ward (Allison Abernethy), Tanner Ward (Jade Windrow), and Mackenzie Sheffield; two sisters, Carolyn (Richard) Meisner, Shawville, Quebec; Elizabeth (Colin) Spinney, Halifax; brother, David (Jackie) Nixon, Coldbrook; sister-in-law, Patricia (Fred) Stockall, Canning; brother-in-law, Steve (Treena) MacBride, Melfort, Saskatchewan and several nieces and nephews. In keeping with Susan’s wishes, cremation has taken place and there will be no visitation or funeral service. A celebration of life will take place at a later date. Donations in memory may be made to the charity of your choice. Funeral arrangements have been entrusted to the White Family Funeral Home and Cremation Services, Kentville. There will be no funeral service, by request.